Budget friendly winter city breaks are possibly my favourite part of the autumn/winter season in Europe. I absolutely love budget city breaks. Combining a European city break with Christmas markets, Christmas shopping and general festiveness really makes being completely freezing all the time seem worth it. Pack your gloves and scarfs and get browsing Ryanair for last minute bargain flights. Here’s some inspiration for the best budget friendly winter city break destinations and the best winter breaks in Europe. 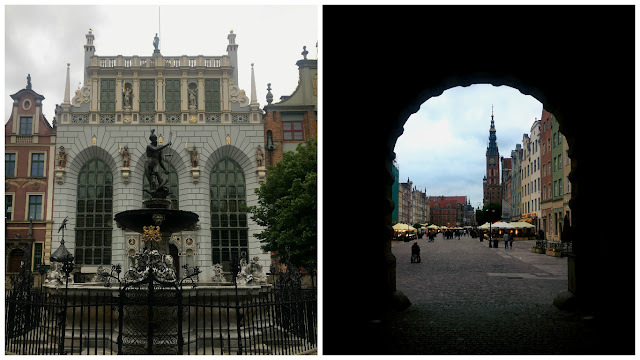 Planning a budget friendly city break for fall/autumn and winter in Europe? 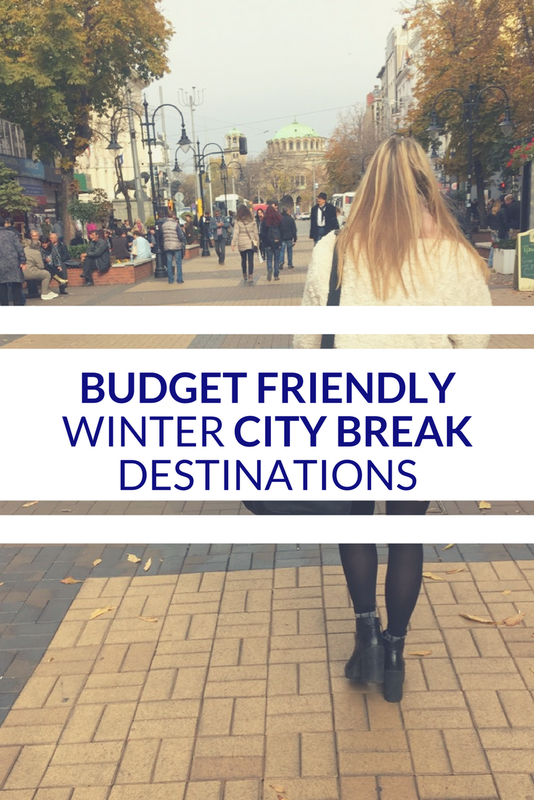 Here are the best budget friendly city break destinations in Europe to check out this winter and lots of reasons for exactly why they make this budget friendly destinations list. 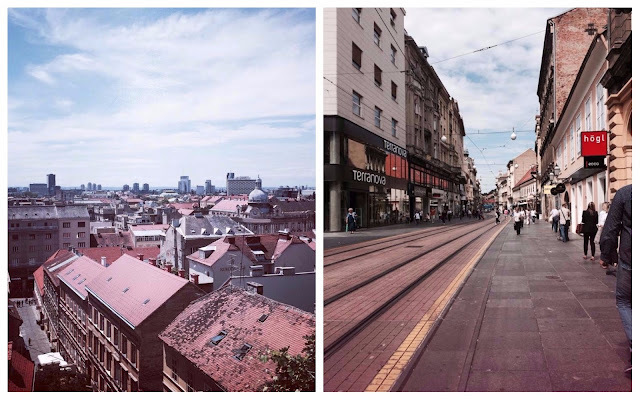 Here are my favourite budget city break destinations in Europe from Sofia to Zagreb and everything in between. Sofia is a city that really surprised me. The Bulgarian capital of Sofia is a hub for history, culture, architecture, food and drink and even the arts. So whether exploring grand city streets whilst checking out Russian Orthodox Churches is your thing. Or spending hours in a history museum is preferred there’s enough architecture and history to fill your entire time in Sofia. Along with the cost of accommodations, transport and eating and drinking. 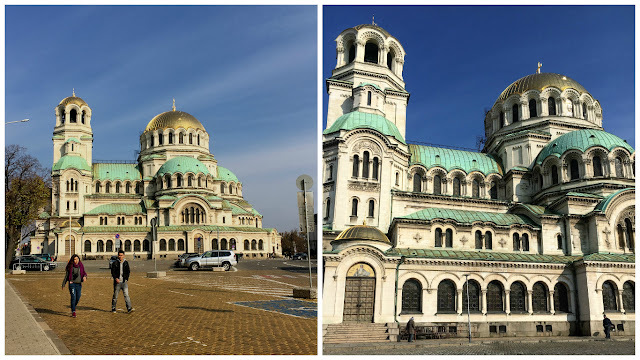 The selection of budget activities available make Sofia, Bulgaria the ideal city to visit during November and December (just before it gets really cold) for your winter city break on a budget. If like me, you are happy to enjoy cafe culture in warm candle lit surroundings hidden away from the chilling winter temperatures of Eastern Europe then then Sofia is a city that will tick many boxes for you. For foodies traditional meat based dishes and street food of pastries, pies and pizza are always on the menu for a low cost. All this with a wide range of reasonably priced traditional Bulgarian beers and wine makes dining out for less a key part of your budget city break to Sofia. All this makes Sofia one of the best budget destinations to travel in winter. Getting surround Sofia is a breeze too. On foot everything from Sofia city centre is within walking distance or you can take the budget friendly public transport (which we used only once). 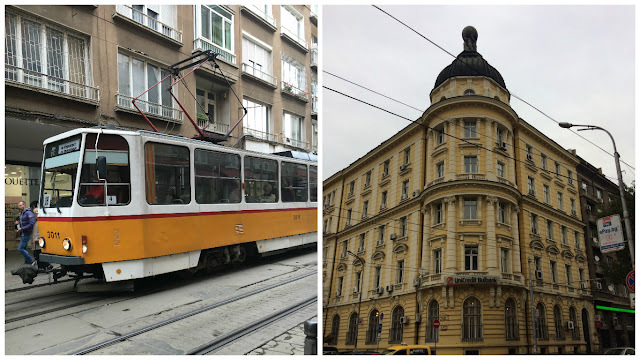 There are trams and an underground system in Sofia along with regular buses. Tickets can be purchased at tobacco and news kiosks for 1.60 Bulgarian Levs (which is around £0.45 or €0.50). Speaking of Bulgarian Levs, this is one factor of visiting Sofia Bulgaria that makes the city an extremely budget friendly destination. Generally, countries that don’t use the Euro are either much more expensive to visit for a city break or much cheaper. Sofia is the latter in this case. For a budget trip filled with culture, architecture and Bulgarian history Sofia is perfect. This winter destination is best to visit during November and December. I always have Sofia at the top of my recommendation list for winter city breaks. I have visited a couple of Polish cities including Krakow in the winter time which I’d also recommend as a budget friendly winter city break destination. 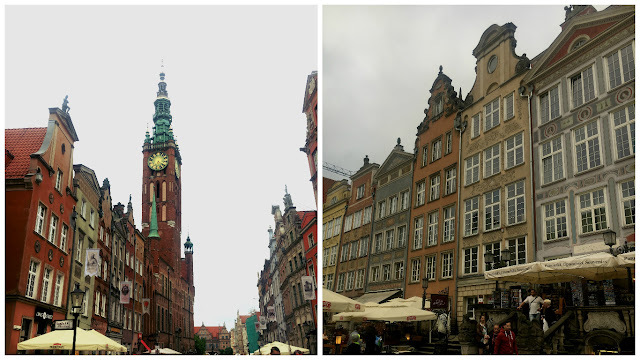 But for me, Gdansk stole my heart of the Polish cities I have seen. Gdansk, Poland is both quaint and vibrant. 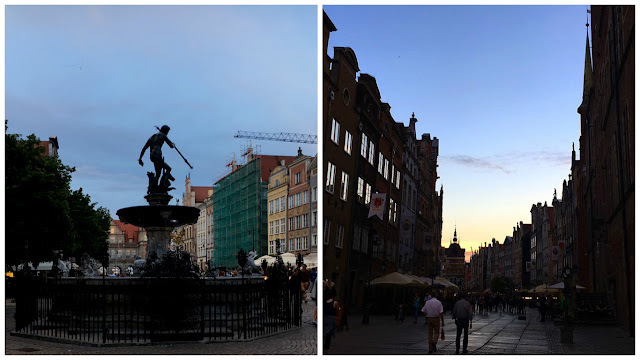 The colorful buildings and dimly lit streets of Gdansk Old Town bring a sense of magic to your evenings. The budget food and drink options make for happy customers all round. And flying to Poland from the UK is cheap and means travel to Poland as a whole is a budget friendly experience. The cheap travel to this European country makes Poland one of the best countries for winter city breaks. Gdansk is no exception and a range of smaller UK airlines and airports have cheap flights to the city of Gdansk throughout the week. If you’re hoping to travel to Gdansk in autumn expect mild temperatures which fall dramatically during the winter. Don’t let that stop you though, the range of traditional Polish Vodka’s available for one Zloty will keep you warm. You’ll be able to afford many as the Polish currency means 1 Zloty is the equivalent of £0.2 or €0.23. Poland does not use the Euro as its currency and is one of the countries that falls into the cheaper category for non-Euro using Europe. Hostels, Airbnb’s hostels and a wide range of budget but stylish quirky accommodation are available in Gdansk at the minimum cost. Check out the Five Point Hostel for a clean and relaxing hostel with small dorms and private rooms for the perfect budget with style accommodation for your winter break in Gdansk, Poland. Along with drinking Polish vodka at the traditional milk bars, eating out in Gdansk’s Old Town is also reasonably priced. Most of the restaurants in the Old Town offer really appetising prices. Even the fancier restaurants offer mouthwatering budget eats. Local beers are very inexpensive along with Gdansk’s own version of what Poland call cider (overly sweet but very refreshing). Everywhere in Gdansk is accessible on foot as the Old Town is completely pedestrianised. From the waterfront take a ferry to Westerplatte for some cultural sight seeing and don’t expect to pay more than a few Zloty. The World War Two Museum in Gdansk is a must do tickets can be purchased for 23 Zloty. There is also an audio guide available for 5 Zloty. Fill your evening with strolls along the Old Town and enjoy the brightly coloured buildings in Gdansk’s sprightly streets. 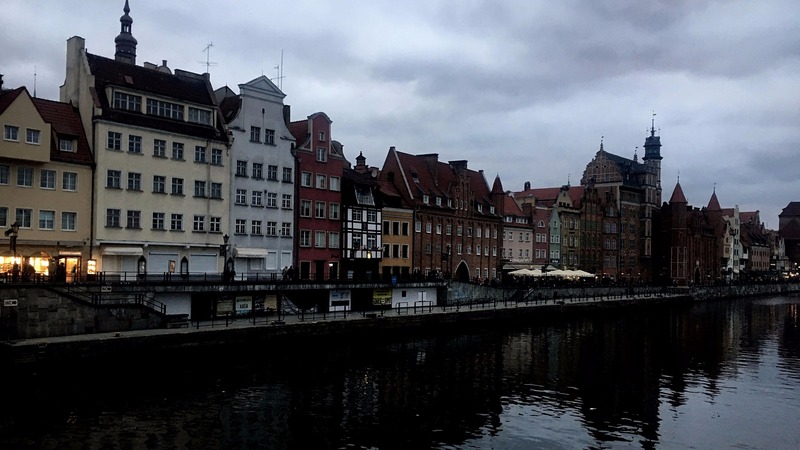 The architecture and atmosphere of the city of Gdansk are just two of the reasons you should add this to your bucket list. If you are looking for an alternate winter break destination, check out Krakow and Zakopane, the beautifully snowy mountain retreat. The temperature is cold and the nights can be dark and frosty, but Bratislava is Eastern Europe at its very best. Try to picture yourself sat at a wooden table next to an open fire in a traditional Slovakian bar with a pint of beer that cost you less than £1/€1. Decorated entirely for the festive season, the city of Bratislava comes alive with the essence of Christmas during the months of November and December. The Old Town of Bratislava beyond the ancient fortified city walls is a fusion of Slovakian culture, Eastern European charm and tourist favourites. Eat and drink on a budget in this winter destination as well as enjoy a festive setting of concerts, carols and more during winter. Many of these activities are free of charge to tourists in the winter months making exploring the festive streets a great way to spend your time in this budget friendly city. Bratislava is also a great starting point to visit other European cities on a budget. These cities including the less budget friendly city of Vienna, Austria along with Budapest Hungary. Take a bus for the budget option and travel to Austria or Hungary for a day trip from Bratislava, Slovakia. Getting around Bratislava is easy. The Old Town is pedestrianised and almost everything you want to see including Bratislava Castle is within walking distance. Stroll along the banks of the River Danube in Autumn and head to the UFO bridge for the best views. Be wary of taxis from the airport, some cab drivers will ramp up the price for tourists at night. If the festive joy doesn’t attract you to Bratislava then the traditional Slovak cuisine and beers should. Bratislava is a pretty undiscovered.It’s generally under crowded city that you can visit easily on a tight budget, making it one of the best winter city breaks for budget travellers in Europe. Despite the use of the Euro, Bratislava remains an inexpensive city to visit. Enjoy the sounds of crackling wood and jingle bells after a long day of mulled wine and Christmas Market stalls. Treat yourself to a duck or potato based meal in the Old City and keep your eyes peeled for the cosy Cuban bar behind a velvety red curtain to keep the biting winter out. Admittedly, I’ve never even seen Zagreb in the autumn or the winter. So it may come as a surprise to you that it would feature on a list of budget friendly winter city breaks. But Zagreb is the ultimate location for a list of budget city breaks. 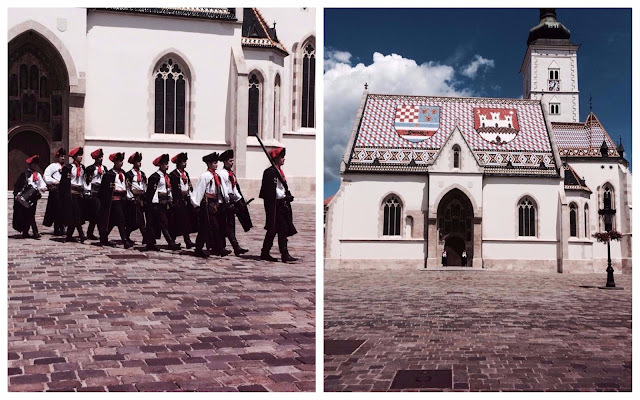 I visited Zagreb in the height of the European summer the experience I had makes Zagreb especially suitable to be on a budget city break list all year round, making Zagreb the ideal destination for a winter city break or a summer city break. From the busy and hectic tourist hot spot of Tkalciceva, which is the main street in Zagreb for tourists to the viewpoint and St. Mark’s Church via the cable car. Zagreb is the ideal setting for a European city break on a budget. It is located in one of the most ‘up and coming’ European holiday destinations, Croatia. Croatia is fast becoming the must see holiday spot for Europeans and although its capital Zagreb gets far less attention than the South Coast and The Croatian Isles I would still regard it one of Europe’s best budget city break destinations. Budget eats and drinks are all within reasonable price due to the Croatian local currency the Croatian Kuna. 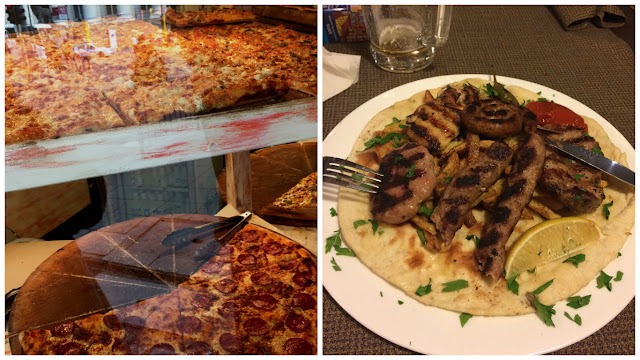 Expect a mixture of Eastern Europe meets Italy with large pizza slices and Aperol Spritz on every menu. Expect to eat kebabs and spicy salami sandwiches, all covered in chilli or garlic sauce. Look to pay the equivalent of £2/€2 for any fast food or street food in Zagreb, Tkalciceva is a great place to grab bargain eats before exploring some budget friendly bars. The city of Zagreb feels far bigger and much more cosmopolitan than the others on this list. Without an ‘Old Town’ Zagreb feels larger, much like Sofia. With more to explore and a more commercialised central zone. Zagreb is the perfect destination for shopping and big nights out. Budget shopping trips to Zagreb mean all your favourite European brands at a much lower cost. Try Christmas shopping during a winter break to the city of Zagreb. Take advantage of the seasons and visit Croatia during its ‘low season’ for a budget friendly experience. 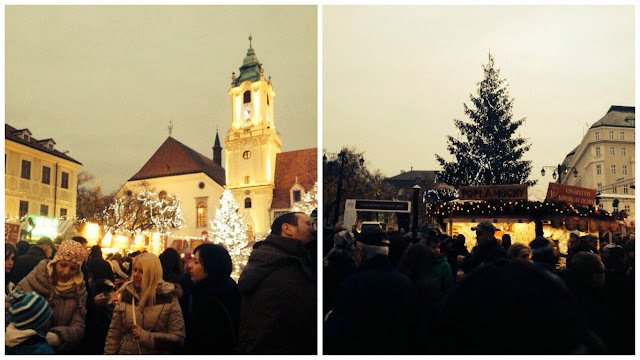 Christmas Markets and more can all be found in the fun loving city of Zagreb if it visit at the right time. Although, Croatia is often regarded as a summer hot spot stick Zagreb on your list of best budget friendly winter city breaks and I doubt you’ll be disappointed. Experience snow, ice and chilly dark nights during winter and autumn in these Eastern European. Enjoy the budget friendly festivities at Christmas markets and all the festive drinks available. Try the local street food and winter treats for budget prices. Capitalise on the cheap travel costs in the low travel season. Do something different and explore Europe in the winter rather than the summer. I've never been to any of these cities, but I do love traveling in winter when it's so much less crowded and cheaper than summer. And there's Christmas Markets! Thanks for the ideas for this coming winter. Great ideas! I love that you included the temps too! All these cities, sound amazing! I haven't been to any of them yet, but definitely planning on going to Zagreb one day 🙂 Loving all the pictures! Great list! Some are still on my list to visit hopefully next year. All these places look so lovely!! I was just discussing with my husband this morning how we should go to Europe next Christmas! 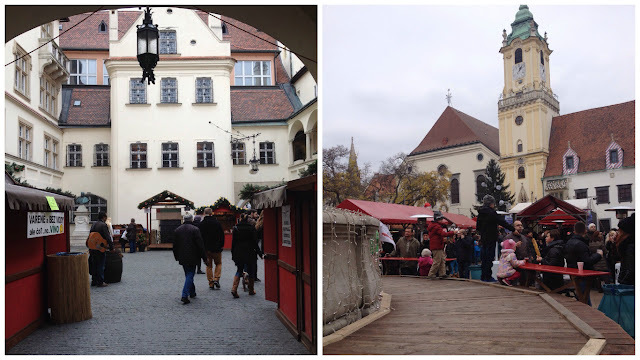 I'd LOVE to visit the Bratislava Christmas market – the city in general looks very nice and cozy. The flights from Belgium to Poland are also extremely cheap – I've never really been interested in visiting Poland but lately I've changed my mind and I might actually go there next year.